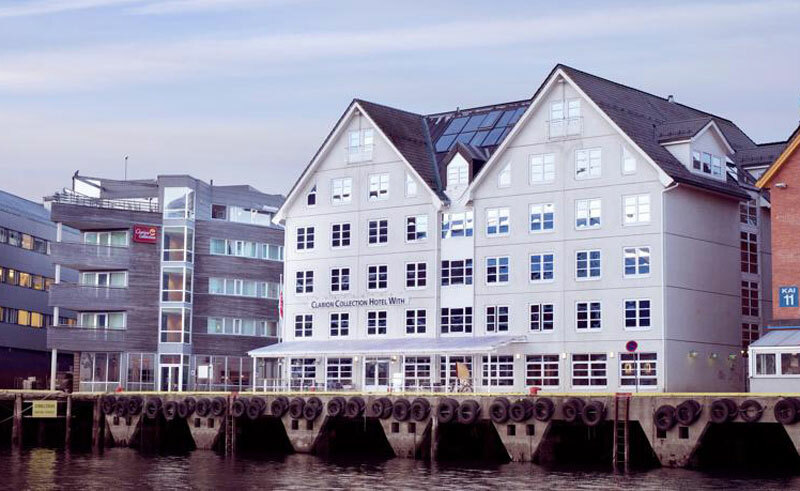 The 76-room Clarion Collection Hotel With is conveniently located on the waterfront in the historic Skansen area of Tromso. It is only minutes away from local attractions such as the Polar Museum, Mack’s Brewery, Tromso Botanic Garden, the Tromso Museum and Arctic Cathedral. Nearby activities and excursions include a day trip to the town of Finnkroken for fishing, bird watching and fantastic scenery, as well as hiking, glacier walking and whale watching. The hotel offers tea, coffee and fruit free of charge around the clock, while an evening meal is served daily in the dining room. An organic breakfast buffet is served as well, providing a good opening to your day and serves waffles each afternoon. The hotel also offers free wifi and a sauna on the top-floor. Each room includes a mini-bar and flat-screen TV.